Prime World is an extremely unique MOBA experience that combines a crazy amount of customisation into its gameplay. 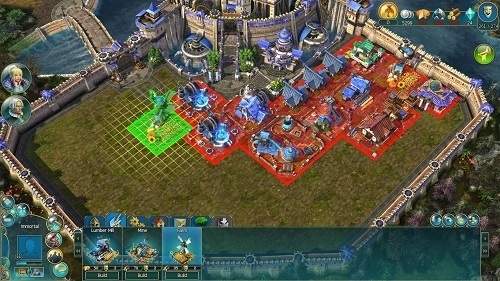 The game mixes battle arena matches with a castle building system where players grow their available talents. 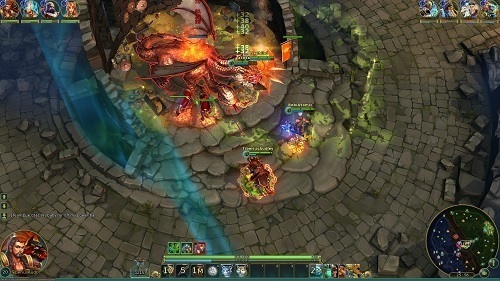 The game easily takes the top prize for the most unique MOBA to be released and is in a league of its own in terms of customisation. There is plenty of old fashioned MOBA style gameplay to enjoy but the way you go about unlocking heroes to play and customising them is where most of the uniqueness lies. In Prime World your heroes and their available talents (which also double as items) are unlocked through the kingdom screen which has players playing lord (or lady) of their own castle. This castle side of the game uses a set and forget resource/time based system. Players are required to build housing and resource gathering buildings (such as farms) to gather resources which are eventually turned into Prime crystals which unlock additional talents for players to use. Talents can also be unlocked after winning games and completing certain goals like winning a certain number of games but most will come from the castle side of the game. This talent system is where you’ll spend most of your time and is a customisation heaven. Talents are a mixture of active and passive abilities and build on the abilities that your hero has by default. For example you might choose a durable character that has his own unique skills and then add some of your favourite talents to make him even tankier. This system lets you create characters that play according to your preferred playstyle and means that another player can play the same hero in a completely different way. On the MOBA side of things in Prime World there are some more unique features. Most notably is the inclusion of a mini game which one player on your team can play at any time. In return for beating the mini game they’ll receive scrolls to buff characters on your team. If you love the MOBA genre and have been hooked on League of Legends or Dota 2 for some time but want something more fresh and interesting you can’t get more unique than Prime World. Huge amount of customisation available. Ability to connect directly with Facebook.